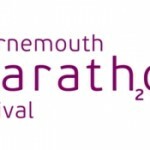 Entries are open for the Bournemouth Marathon Festival which will see thousands of runners from all over the world take to the streets of the coastal resorts on October 5th and 6th 2013. On Saturday 5th October there’s the 5k “speed of light race” which takes place at dusk with emphasis on light around the route, providing runners and spectators with an unforgettable race. The “supersonic” 10k will be run while motivated by the local music of the area. There will also be two fun mass participation junior running races across 1.5k and 3k distances.